High temperature glass, polished earthtone river rocks, commercial grade stainless steel burner and extinguisher. 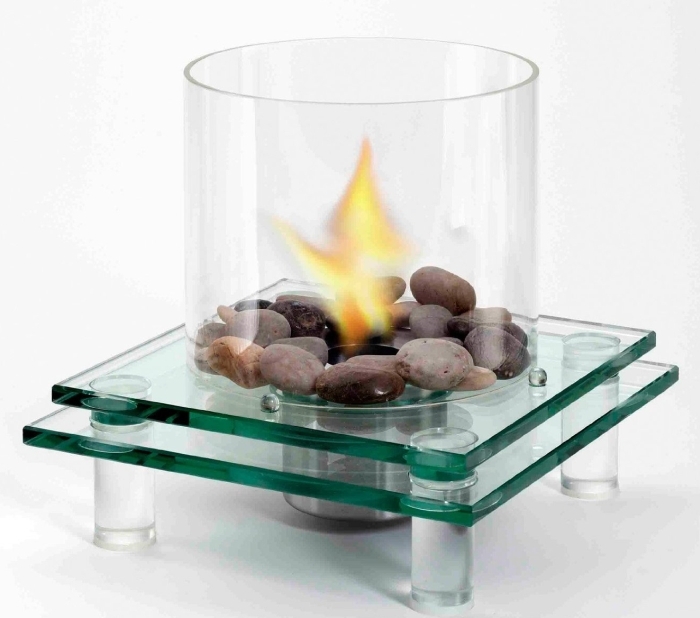 This ventless, eco friendly fireplace creates instant ambiance where ever you choose to place it. Inside on a coffee table as a focal point to the room or outdoors on your patio table. Its modern, yet versatile architectural styling adds a designer touch to any space.